Fast and Effective Relief of nausea. Without Drugs, Without Delay. Reliefband 2.0 is an FDA-cleared wearable device that uses patented, clinically-proven technology to treat motion sickness. The unique neuromodulation technology was developed for use in hospitals and alters nerve activity through targeted delivery of gentle pulses to the underside of the wrist to “turn off” feelings of nausea, retching and vomiting. It works within minutes with no side effects. The unique “J-band” makes the device easy to put on your wrist and more comfortable to wear over extended periods of time. The stunning design rivals the most fashionable wearables and makes Reliefband 2.0 appropriate in any social setting. Reliefband 2.0 features a latex-free band and includes hypoallergenic 316L Surgical Steel contacts, ensuring a more efficient transmission of current—while maximizing user comfort. Reliefband 2.0 contains an intuitive display with 10 intensity settings that can be moved up and down at the touch of a button. This range of settings enables users to find the precise setting that is optimal for their personal needs. The fully charged battery lasts approximately 17 hours on the mid-intensity level and recharges quickly. Watch the 60 second video and see exactly how Reliefband works without drugs and without delay. The unique characteristics, the material, size and shape of the contacts can significantly impact efficacy and are essential to the delivery of a consistent pulse. The user interface provides the ability to accommodate each person’s individual physiology and sensitivity. 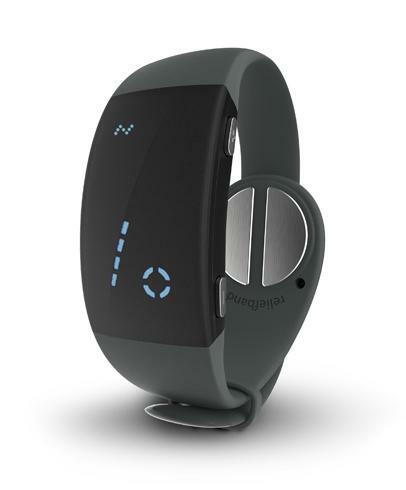 1 - Reliefband 2.0 delivers proprietary pulses from the contacts on the unique J-Band that signal the median nerve at the P6 location on the underside of the wrist. Click the button below to add the Reliefband® 2.0 Anti-Nausea Device - Rechargeable to your wish list.